I am such a lucky girl. 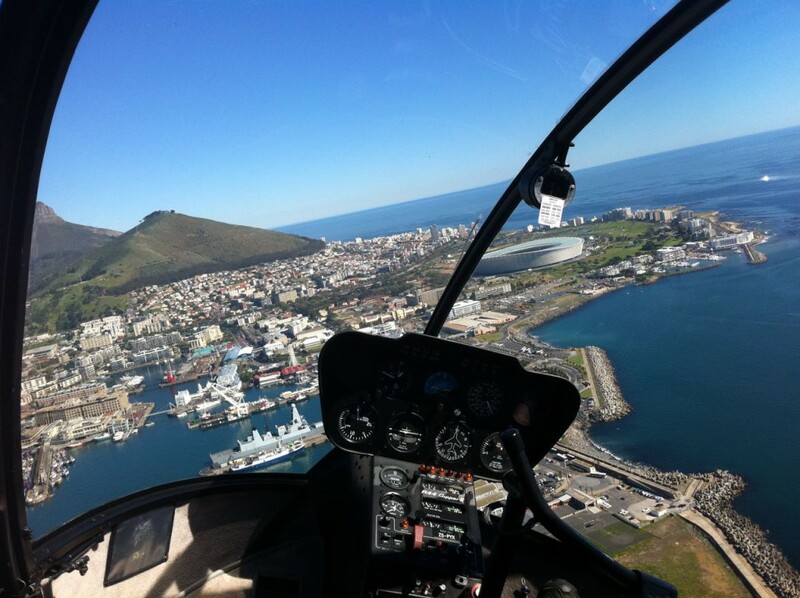 A while ago The Other Half surprised me with a helicopter flight over Cape Town. 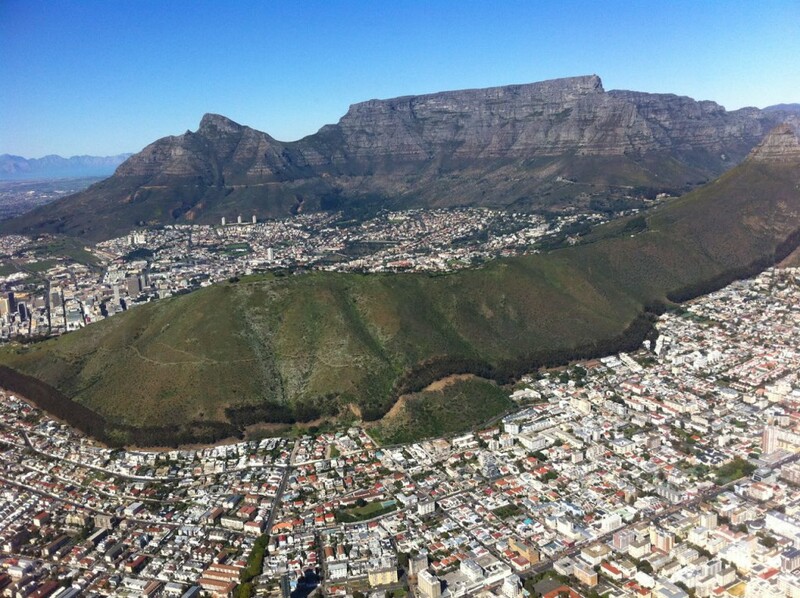 I love Cape Town and I love to fly, so guarantee for success, right? Well, yes. In the end it was the most wonderful experience, but I have to admit: flying in a helicopter is something different than flying in a modern airplane (think: Airbus 380 or Boeing 747). It took me about five minutes after we took off before I was comfortable and calm again in that tiny tiny fly-machine called helicopter. I know that this ingenious invention do obviously come in different sizes, but the one we flew in was only for 3-4 persons, including the pilot. Luckily there wasn’t a lot of wind that day and after a very short period and some kind words of Mr. Pilot I could enjoy again. 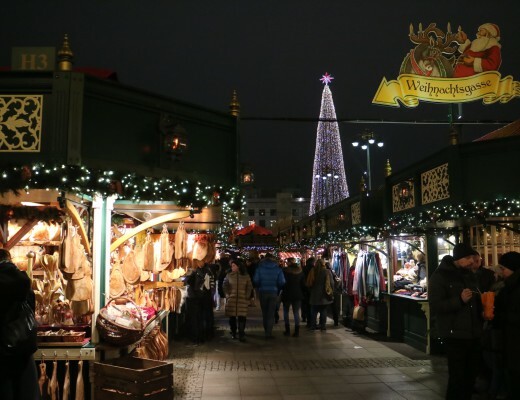 Not just ‘enjoy’; it was fabulous! 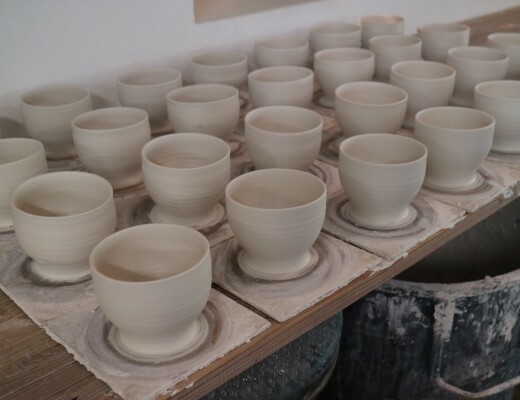 Today I’ll share a short photo report with you. 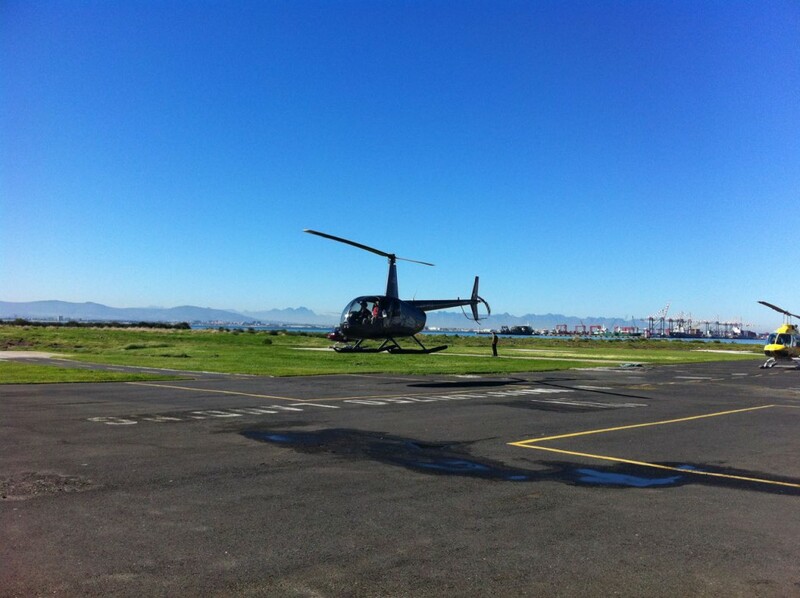 In this cute little helicopter we booked our ‘Two Oceans’ flight in. Just after take off we were leaving the V&A Waterfront behind us. 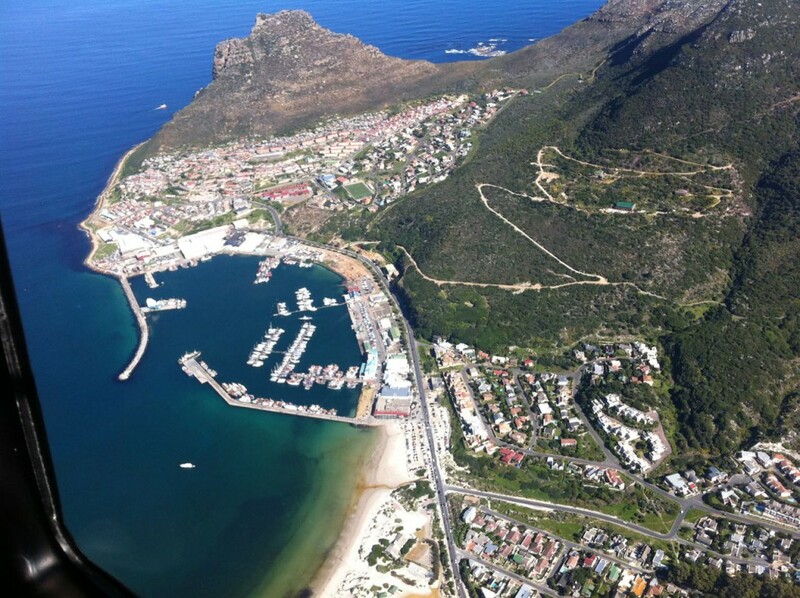 Do you recognize the Cape Town Stadium, Cape Grace Hotel and Signal Hill? On the right you could see Robbeneiland in the big, dark blue waters of the Atlantic Ocean. Imagine you were on a ship centuries ago.. And the first thing you saw after days at sea is this strange, flat mountain?! What would you have thought? The indented coastline with Chapman’s Peak Drive. 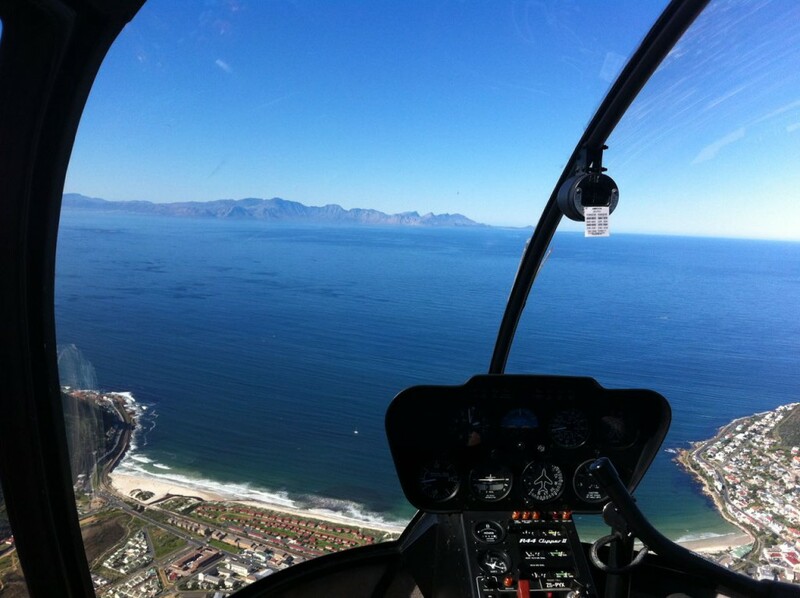 Hello False Bay! Hello Indian Ocean! 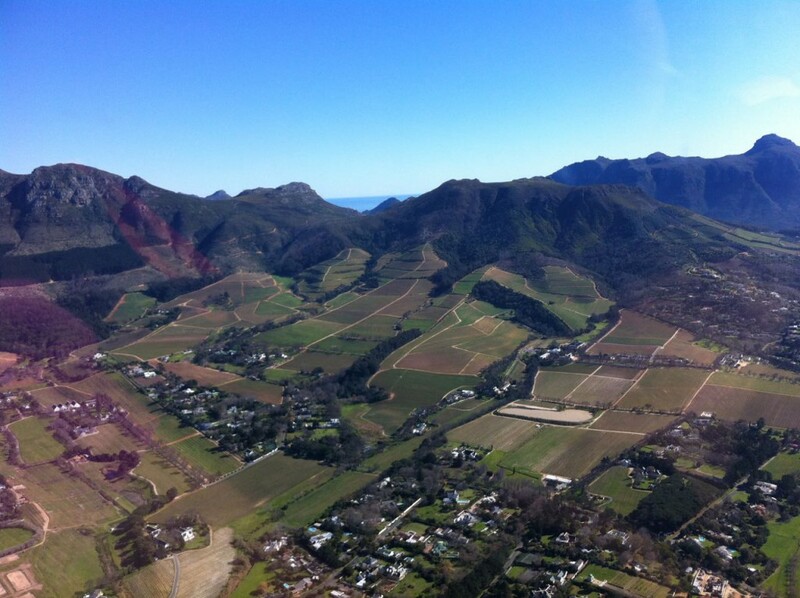 The mountains and land you see far away is Gordon’s Bay/Pringle Bay area. Wow! 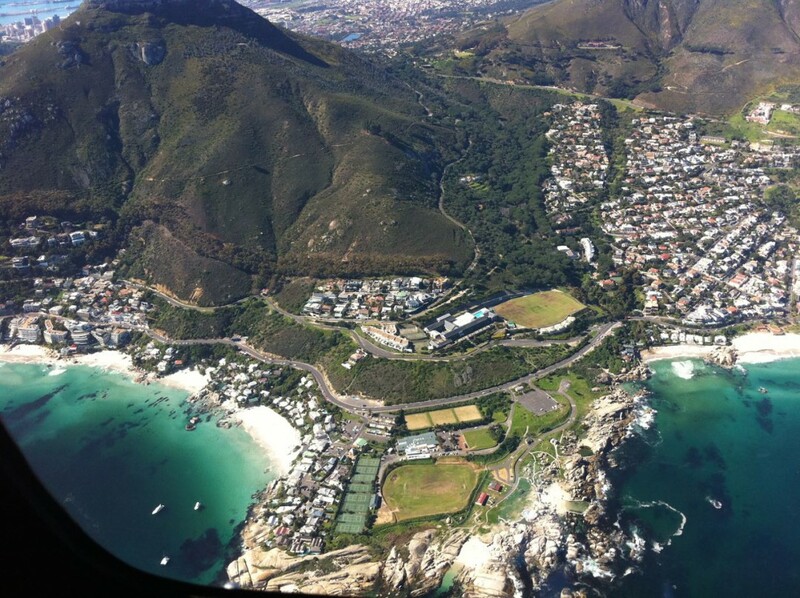 After we flew over Fish Hoek and Muizenberg, the pilot made his way back to the V&A Waterfront, but first we enjoyed views of Constantia Wine Valley, Woodstock, Kirstenbosch, University-area, the City Bowl and Cape Town harbour. Then we had a very soft and gentle landing and the rest of the day my body was full of adrenaline and I most def needed a glass of bubbly and sushi at Willoughby’s. A day to remember! 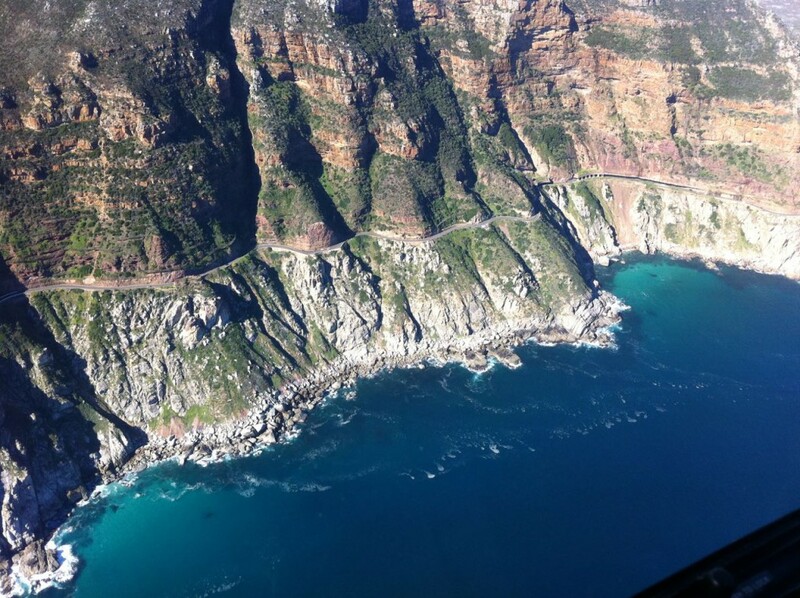 We did the ‘Two Oceans’ flight at Cape Town Helicopters, a well-known company and – of course – fully licensed, professional and using only the best equipment, helicopters and pilots. Situated at V&A Waterfront, close to Table Bay Hotel. Price for the ‘Two Oceans’ tour (which I highly recommend) start from ZAR 2050 per person. I found it well worth it. 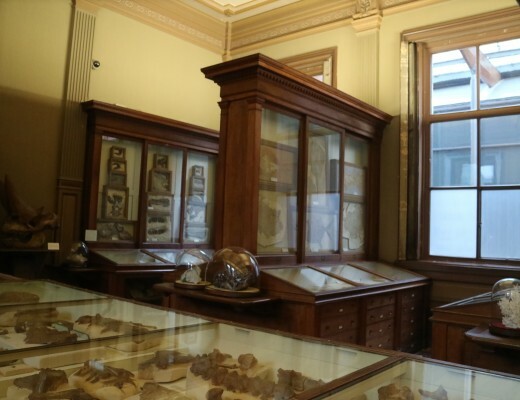 For more information and to book upfront, click here. Note: I have not been invited, sponsored or payed for this review. 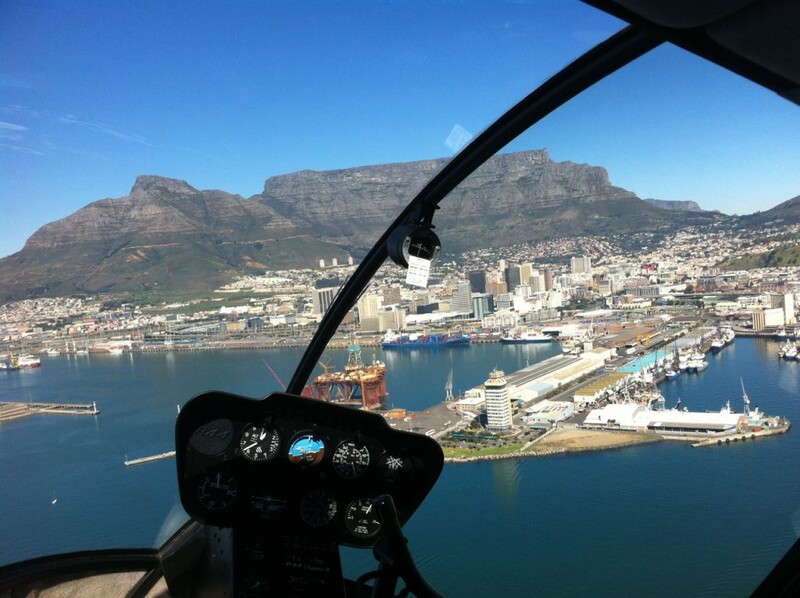 To write about our experience with Cape Town Helicopters was my own idea. We paid for the flight ourselves in full.